How insane is this play the Bucs have been getting from backup quarterback Ryan Fitzpatrick? Not only have Bucs fans never seen such a thing, the NFL rarely has. Joe’s going to list a few records, courtesy of the Bucs’ media relations staff who did the digging. Let’s just say that Fitz is right up there now with Joe Namath, Tom Brady and Dan Marino (though Joe is pretty sure neither Brady nor Namath needed a beard to pull). * Four touchdown passes last week at New Orleans in addition to his four yesterday against the Eagles, makes Fitz just the third player in NFL history to throw at least four touchdowns in each of his team’s first two games of a season, joining Kansas City’s Patrick Mahomes (2018) and New England’s Drew Bledsoe (1997). * Add Fitz’s name to the group that also includes Cam Newton and Brady as the only players in NFL history to record at least 400 passing yards in each the first two games of a season. * Fitz is the third player since the 1970 NFL/AFL merger to have consecutive games with 400 yards passing and four touchdowns, joining Miami’s Dan Marino, Tennessee’s Billy Volek. Fitz is the first player since the merger to do so in the first two games of the season. * Fitzpatrick has four touchdown passes of 50 or more yards through the first two games, tying N.Y. Jets QB Joe Namath (1972) for the most 50-yard touchdown passes through the first two games of a season in NFL history. * Fitzpatrick is the 10th player since 1950 to record eight or more passing touchdowns through the first two games of the season, joining Patrick Mahomes (10 – Kansas City, 2018), Drew Brees (9 – New Orleans, 2009), Charley Johnson (9 – St. Louis Cardinals, 1965), Peyton Manning (9 – Denver, 2013) Drew Bledsoe (8 – New England, 1997), Lynn Dickey (8 – Green Bay, 1983), Jim Kelly (8 – Buffalo, 1991), Dave Krieg (8 – Seattle, 1985), and Carson Palmer (Cincinnati, 2007). * Fitz is the eighth player since 1950 to record at least 800 passing yards through the first two games of the season, joining Brady (2011), Newton (2011), Kurt Warner (2000), Frank Tripucka (1962), Aaron Rodgers (2013), Eli Manning (2013) and Drew Bledsoe (1994). * Fitz is the lone Tampa Bay QB to throw for over 400 yards twice. The plays have been there, the other guy just could’nt hit them. What a fun time to be a Bucs fan. I don’t really care too much what the national talking heads say about it, I just hope we can keep the train rolling, but it sure feels good right now. Bucemup totally agree, as long as this keeps going, you don’t change a thing. I agree with Yar the plays have been there its just that the other guy cant see them. into a great catch and run from DJAX. DJAX got slammed Last year by a lot of people,glad he is getting a chance to show why the Bucs signed him. @Yar… correction the “other” guy you are referring to did not have the same o line protecting him hence he did not have the same time as Fitz. While I am happy for the team and for Fitz you are not on 7 teams in 13 years for nothing. Check yourself my fellow Buc fan. During the broadcast yesterday, Ronde kept going back to how quickly and decisively Fitz makes the read and takes what the defense gives him. Ronde seemed to be impressed from a defensive perspective at the execution. Lets not forget that Jameis and Ryan Griffin also looked great in preseason as well. The common denominator is playcaller Todd Monken. You keep Fitz in as long as he keeps it going, but I wouldn’t anticipate a big drop off if EITHER of our other QB’s had to step in. I feel like this is where everyone is going to learn just who Monken is. Man, have some come so far from the “that if Jameis goes down, the season is over.” and that backup??? QB’s are not worth investing in!!!!!!!!!!!! Silly that the “real” fans even had to argue that point at all!!!!!!!!!!!! Yep, he sure did….especially with Ronald Jones II and Noah Spence both inactive yesterday. I am very happy for the Bucs success! Such a pleasant surprise. Koetter’s best decision all season was giving up play calling duties. @Buc Non-Believer … “While I am happy for the team and for Fitz you are not on 7 teams in 13 years for nothing.” That’s the spirit Buc Non-Believer, you hang tough. Did you ever think that MAYBE all of those previous teams lacked what Fitz NEEDS to REALLY excel? (Hint: Weapons-for-Winston ALSO turns out to be Weapons-for-Fitz). And did you ever think that MAYBE all of those previous stops, and all that previous on-the-field time & leadership opportunities have gone into making the FIELD GENERAL that we’re seeing today? (Hint: People do GROW in terms of skills & leadership). Oh and did you ever think that Fitz doesn’t do any of these things without this TEAM being behind him 100%? Not just in words (words are cheap) but in actions. Monken’s aggressive play-calling early in the games has been a thing of beauty; don’t overlook its’ importance. Our OLine & RBs have provided generally excellent pass protection; don’t overlook their importance either. But also don’t overlook what Fitz himself has contributed to this TEAM. He’s making BIG-TIME PLAYS on the field, and is keeping everyone loose in the process. They’re having fun with it you can tell, but I have faith that Fitz will keep them humble. One game at a time. The Fitzchise is changing it to the Den of Excitement! Buc believer… We have to stop the excuse making.. How many times was Desean open and Winston completely missed the mark? I mean wide open… Winston’s just 24 and I’m hoping to see him improve but I will not make excuses for him on not hitting wide open long balls. D-Rome… Not sure what your point here is. I love when fans try and act like they get some of us by pointing out a bad draft choice. The Patriots don’t even hit all their draft picks so I never really get what people are saying when they point out a failed draft choice.. Overall Lichts built one heck of a team. A lot of folks have been very critical of have an expensive back up qb. It seems as though those folks were wrong. Wait so are we now calling Fitzpatrick “The best quarterback in franchise history”?? If it ain’t broken…don’t FITZ it…. 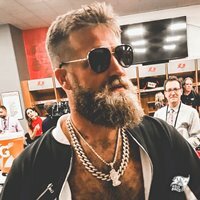 How bout a nickname from the Joe’s for Fitzpatrick? What is Fitz them? He is playing like an overall number 1 pick. And he is movingly everyone’s needle , including people and coaches and media outside of Tampa. Can Fitz keep this going? Who knows cause he is setting nfl records right now. How fun is it to have a vertical passing game. Best offense in buc history. Without a few drops we score more than 40 and Fitz may have goten to 500 yards. The offensive line is way Better than last year…. Just Sayin!!! The BUCS are 2-0 and yet we can’t just enjoy it without inserting some “controversy”! HELLO. The BUCS are 2-0 and have looked good doing it. Believe people, believe! It’s never been about ONE guy! Just to stir the pot a little, last year Jameis and Fitz had the same coaches/offense/defense. Who had a better win/loss record? And for those who are high-fiving the preseason stats, give me a break! Anyone who’s watched a few years of football can tell you that *anyone* can look good/bad in preseason. There is no game-plan, there is no consistency in the level of opposition, and a lot of ‘starters’ won’t sacrifice the season (their body) for a meaningless game. Preseason games are getting pretty close to Pro Bowl play, for everyone except the rookies and bubble players. Regardless of what Fitz does next week, Jameis should get extended playing time (including ‘starts’) when he returns. There are *major* decisions to be made concerning where his future lies. If he rides the bench, it will mean the team has already decided to move in a different direction. *If* the Bucs decide to move on from Jameis, it likely will not include Koetter for three reasons. The Glazers were active participants in the selection of Jameis, one of Jameis’ main issues are off the field, and Koetter has the support of the entire (winning) team. BTW, if the Bucs decide to move on from Jameis, Fitz is NOT the answer. He will be a great mentor, but the Bucs will likely have to start from scratch again. And the window is getting smaller every year. Agree with Hawk. Fitz is doing great but no one is saying he’s the future. That doesn’t mean Jameis has to be the future. Fritz is the bridge which gets you over Jameis. Spot on Big Stinky. Success will have GMs/owners at Monkens’ door. “Backup quarterback”??? Are you NUTS??? Relax…..enjoy the success….don’t project too far……the old cliche….one game at a time…. The bottom line is that we have unbelievable weapons on our offense and our QBs are being protected by a great Oline…. We still couldn’t run the ball….but it didn’t matter. Fitz burned them with passing late in the game. We are at least 2-1 after the first “brutal” 3 games….enjoy!!! 1 week at a time…..fitz is locked in right now…..
Tampabaybucfan….813bucboi……. Agree with you guys, stay humbe, low profile, and underdog feeling…..stay hungry…….thats the correct way……. Fitz has extended his 15 minutes of fame and his personality right along with it with Buc fans loving every minute. Against the Steelers Rottenburger is old and fragile, a couple of sacks and out he goes. Someone’s gotta say it Joe … It’s awesome to see Bucs’ fans so excited about OUR TEAM. Lots of JBFers have already said it: one game at a time though. The talent on this TEAM is better for sure than it’s been in recent years, but there’s a LOT more than that going on. This Bucs’ TEAM really BELIEVES in the coaches, in each other, and in the TEAM overall. I’m convinced that we’re seeing better FIELD LEADERSHIP on BOTH sides of the ball. There’s a LOT more ACCOUNTABILITY going on, and that’s really cool IMO. Fitz in particular has EVERYONE … coaches, players & fans … believing that this TEAM is never out of it. His performance over these first 2 games has been insane (a Bucs QB completing almost 80% of his passes? Wow!). Even though the running game didn’t show up against Philly, this TEAM just found another way to win. Actually TWO ways: passing AND defense. A long way to go for sure, but what a great foundation to build on. Are we sure that isn’t Dan Marino under that beard? Incredible play. I know the stats are off the charts, but how about the way the dude closed out the last two games with first downs? We were on the edge of disaster both times. If Fitz wants to be the GQ cover guy, go for it!! He’s earned it. This Koetter O is beginning to blossom. Long-time, loyal fans like me are LOVIN’ it. The best news of all? The sky is the limit with the potential of this Mighty Offense. And this is the Tampa bay Bucs??? Like really??? Can I faint now??? The Jameis haters are ignoring the fact that without Ryan Jensen, this Offensive line allowed a lot of defensive traffic in the backfield, which makes it challenging for any QB to make a play without having to do a lot of dancing back there. This OLine is one of the best we have seen in a long time (I think Benenoch is our weakest link, which is why we see Evan Smith rotating with him). Fitzmagic is doing a great job getting the ball to his playmakers, and if Jameis were to play on week 6, the only thing I would be looking at would be his ball placement to see if it has improved. It looked like it did during preseason, but in live games, that is when you really see if he has what it takes. Making accusations that he can’t hit his receivers based on the last season (when he was injured and had less than stellar OL protection) is showing your bias. The only way we know for sure that we couldn’t do even better with Jameis over Fitz is to let him play. The main question for the coaching staff is going to be, when is the best time to put Jameis on the field? I bet no matter what happens this week or next, Jameis will start after the bye week. He will get a chance and I like what I see from both of our QBs this season so far. He will probably have a short leash which is good, it hopefully will keep him in check. Sometimes he tries to do to much. In the right situation there is nothing wrong with taking a sack. Ride the Fitz train and enjoy…BUT, be prepared for the inevitable firey train wreck. Like full-on train cars carry nitroglycerin careening off a bridge into an oil refinery crash. It WILL happen. First, he will have a game where he goes 11/24 127 yds and an INT. Then next week he will have his 5 INT game. At that point, put in Winston. Now we KNOW what this offense can do. Can’t blame play calling or receiver talent. It’s all game planning, matchups and QB play. We know what we can do thanks to Fitz….but don’t fall in love. He did this to the Bills and Jets. He’s a d*** tease. Treat him as such, use him and discard upon expiration. Anyone else find this confusing? Both equal 8, yet one says he is the third to do it, the other says he is the tenth? Unwarranted dig. Nassib has more experience so is higher on the depth chart. He seems better, but that is because he’s spent more time on the field. Plus there is talk that Spence has a health issue that is not injury related. Ronald Jones was never intended to be the #1 or #2 this year. The plan was always to develop him. Shaun Wilson got a leg up because of Special Teams. Aside from that, do you really want to be the guy Justin mentioned in his last podcast? The guy who always complains, even when winning? The guy who focuses on the bad instead of good?